Andrew S. Natsios is an executive professor at the Bush School and director of the Scowcroft Institute of International Affairs. 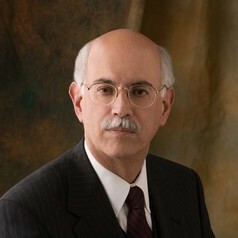 Natsios was most recently a Distinguished Professor in the Practice of Diplomacy at the Walsh School of Foreign Service at Georgetown University and former administrator of the U.S. Agency for International Development (USAID). As USAID administrator from 2001-2006, Natsios managed reconstruction programs in Afghanistan, Iraq, and Sudan. He also served as U.S. special envoy to Sudan in 2006-2007. Retired from the U.S. Army Reserves at the rank of lieutenant colonel after 23 years, Natsios is a veteran of the Gulf War. From 1993 to 1998, he was vice president of World Vision US, the largest faith-based nongovernmental organization in the world, with programs in 103 countries. Earlier in his career, Natsios served in the Massachusetts House of Representatives and as the chief financial and administrative officer of the Commonwealth of Massachusetts. He also served as the CEO of Boston's Big Dig, the largest construction project in American history, after a cost overrun scandal. He is the author of three books: U.S. Foreign Policy and the Four Horsemen of the Apocalypse (1997); The Great North Korean Famine (2001); and his latest book, Sudan, South Sudan and Darfur: What Everyone Needs to Know, published in 2012 by Oxford University Press. He has contributed to more than 13 other books.